Discussion in 'Cross Country, All Mountain & Trail Riding' started by dexterq20, Mar 4, 2008. Time for me to get a bike I can pedal. I've narrowed it down to the Giant Reign 0 and the Specialized Enduro SL Expert (aluminum frame, not carbon), both with pretty much custom specs. On the Reign, I'd be swapping the fork for a 36 Talas, which will give it about a 68 degree head angle (as opposed to 69 degrees with the stock fork). I would buy the Specialized as a frame/fork and then build it up from there. The Reign will initially cost me about $800 more than the Enduro SL out of pocket, but hopefully I'd be able to sell all of the parts that I swap out, which would then make it about $400 less than the Enduro SL. The Enduro SL would be simpler because I wouldn't have to swap a ton of parts, but I'm still not 100% confident in the Specialized forks and shocks (although they come with a 5-year warranty now). 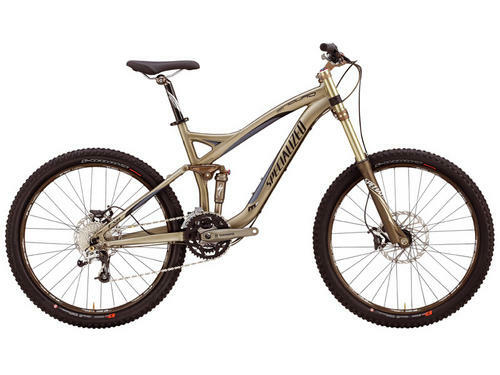 From what I've found online and in some magazines, the Reign has gotten some pretty stellar reviews, where the Enduro SL has not been as widely praised. I have no clue which bike would be lighter, but I'm looking to get something around 30lbs. Please share any thoughts, suggestions, and experiences with either bike. Thanks. 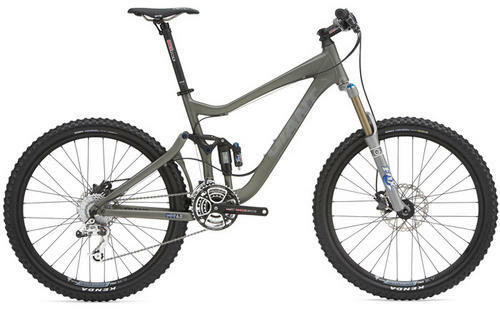 I think the SL is too DH, you should buy the Reign for its steep head angle!!!!!!!! I would recommend the Reign. I had the opportunity to try out a Reign X and it was a great bike that I think you will be happy with. I haven't tried the Specialized, but I have ridden a few and they were ok, but nothing steller and I would definitely want the fox fork & shocks over the specialized ones...I really have had wonderful results with my fox parts! I have an 08 Trance X. Only have four or so rides on it, but I'm very impressed with the maestro setup. Feels a lot lighter on the trails than it's 30.5 lbs would suggest. Climbs great. Loco rides a 06 reign and really likes it except for the weight. Probably not the best choice for a Texas trail bike.